Nahida Afroz, N. (2019). Effect of Service Quality on Customer Satisfaction Evidence from Banks in Tangail. Management Studies and Economic Systems, 4(2), 145-159.
nushrat Nahida Afroz. "Effect of Service Quality on Customer Satisfaction Evidence from Banks in Tangail". 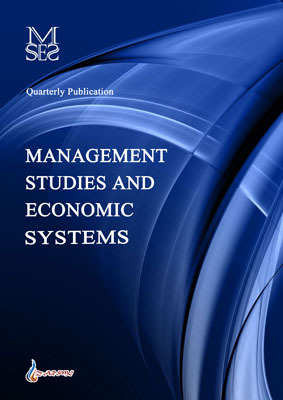 Management Studies and Economic Systems, 4, 2, 2019, 145-159. Nahida Afroz, N. (2019). 'Effect of Service Quality on Customer Satisfaction Evidence from Banks in Tangail', Management Studies and Economic Systems, 4(2), pp. 145-159. Nahida Afroz, N. Effect of Service Quality on Customer Satisfaction Evidence from Banks in Tangail. Management Studies and Economic Systems, 2019; 4(2): 145-159. This study attempts to determine the effect of service quality on customer satisfaction both from public and private banks in Tangail city. Service quality of different banks is observed that is provided for their customers. An attempt is made to find out which service quality dimensions may enhance customer satisfaction in a better way. To measure the service quality, an extensive survey of bank clients has been performed with a structured questionnaire. Respondents are chosen from different demographic features. The 200 sample clients were selected from the branches of different public and private banks located in Tangail City. The sample clients were selected randomly at the banks while interviewing. Both descriptive and inferential statistics were used in the analysis. To explore the relationship between service quality and overall customer satisfaction, frequency distribution, descriptive statistics, correlation and regression analysis was performed. From the overall analysis, the most important service quality factor of banks is personal attention to the clients followed by error-free records, safety in transaction, and tangible physical facilities of the bank. A significant correlation between the performance of promises in time and professions of the clients are observed. Perceived service quality factors have significant relationship with the overall service quality of the banks located in Tangail City which indicates that the service quality dimension have strong influence on the overall customer satisfaction. After all, findings indicate that service quality and all its dimensions have significant and positive association with customer satisfaction. Therefore, this study has been specifically conducted to consider this phenomenon and seek empirical justification in this regard by considering service quality as the main contributory factor towards customer satisfaction.